The Scotiabank Momentum Visa Infinite card is one of my favorite cards in the Canadian market. This is the ideal card for people who spend a significant amount each month on gas and grocery stores, such as Loblaws, No Frills or FreshCo, that don’t accept American Express cards. This card offers 4% unrestricted cash back on gas and grocery, 2% on drugstores and bills and 1% cash back on everything else. Ocassionally they have a promotion to earn 10% cash back on everyday purchases for the first 3 months (up to $200) Plus, your first year annual fee waived. A value of up to $299 in the first year. The Scotiabank Momentum Visa Infinite card is one of my favorite cards in the Canadian market. It is the cousin of the Scotiabank Gold American Express card, which I believe is the absolute best card in Canada. The Momentum Visa Infinite card offers 4% cash back on gas and groceries, 2% on drugstores, recurring purchases and bills and 1% on everything else. The great advantage here is that the Momentum is a Visa card so should be accepted at most stores that accepts credit cards. If you shop at grocery stores that don’t accept American Express and you spend more than $400 / month in gas and groceries, or you don’t spend much at restaurants, this could be a great card for you. Personally, I carry the Scotiabank Gold American Express card, which is very similar to this one. The 2 grocery stores closest to my home are Sobeys and Metro, and they both accept American Express. 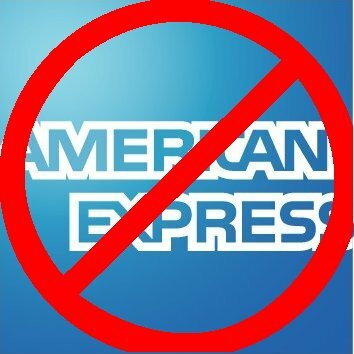 The Loblaws, Freshco and No Frills that are also near me do not accept American Express. If my main grocery stores were Freshco or Loblaws, then the Scotiabank Momentum Visa Infinite card might be a better choice for me. The cashback is earned at the end of the month and is awarded at the end of 12 months. The payment of your cashback can come as a statement credit to your Visa or can be deposited into the chequing account you choose. Quite simply, the rewards you earn are based on the establishment WHERE you make your purchase, regardless of what you purchase. This means that if you have are indifferent to buying something at Walmart or Loblaws, you would be better off buying it from Loblaws, due to the better earnings with this card, assuming they are the same price at both retailers. The same item would earn more rewards from Loblaws. It is always a little unclear as to what constitutes a bill payment. This is what the Scotiabank Momentum Visa Infinite card has to say about what a bill payment is. Something to note is that there is a limit of $25,000 / year in the gas and grocery categories that will earn the 4% rewards. There is a separate limit of $25,000 in the bill payments and drugstore categories. Above the $25,000 / year limit, purchases in each category earn only 1%. Redeeming rewards with the Momentum card is very easy. It is almost too easy. At the end of the year, your total accumulated cash back gets deposited into your chequing account or as a statement credit on your Visa card. There is nothing for you to do. The great thing is that, unlike the Scotiabank American Express Gold card, you do not need a travel purchase to release your rewards. All of your rewards are yours once you earn them and there is no chance for “trapped” rewards or “orphan” points. Whenever evaluating how good a card is, it is always important to look at it in comparison to what else is out there. The Scotiabank Momentum Visa Infinite card is a pure cash back card, so we can compare it to other cards that give a return with fixed values and whose rewards can be released relatively easily. The Scotiabank Gold American Express card is one of my favorites, as I have mentioned already. The American Express gets 4 pts / dollar on gas, grocery and restaurants / entertainment. The rewards come in as statement credits against travel purchases. I feel that the 2 Scotia cards are very similar. I think the big difference really boils down to Momentum being a Visa, so more acceptance, vs the Gold American Express which gives so many more points to restaurants and entertainment. The Gold American Express also has the higher sign up bonus. For this reason it may be beneficial to hold both cards. The 2 World Elite cards are pretty comparable as comparison points. These represent the “base” cards or “non-category spender” cards. The World Elite cards offer what amounts to 2% return on all purchases. I used to be a bigger fan of the BMO card, but very recently they have started charging the annual fee for the first year. The MBNA card, which waives the first year fee and has slightly more flexibility is now my recommended non-category spender card. When compared with the Momentum Visa card, it basically works out to deciding how much is spent on gas and groceries vs how much is spent elsewhere. For a 1-card solution, it comes down to deciding if you spend more on gas and groceries, or more on other things. For a 2-card solution, a Momentum card combined with a World Elite card make a very complimentary solution. Gas and grocery purchases can go on the Momentum and everything else can go on the World Elite card. To see if it makes sense, simply run the numbers and make sure that the gain offsets the annual fee, it would take $4980 / year ($412 / month) in gas and grocery purchases to make it worthwhile to get the Momentum and pay the fee in year 2, assuming you already have a World Elite card. Assuming you already have the Momentum, it would take $8900 / year ($741 / month) in non-category purchases to make it worthwhile to add the MBNA World Elite card and pay the $89 annual fee. The MBNA Smart Cash mastercard is another similar card that gets a bonus on gas and grocery store purchases. The bigger difference is in the “level” of card and the rewards and benefits that come along with it. The Scotiabank Momentum Visa Infinite card is a top tier card, with a $99 annual fee. The MBNA Smart Cash Mastercard is a more entry level card and comes with no annual fee. 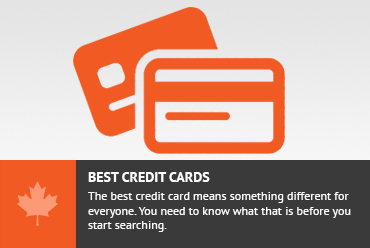 The Smart Cash Mastercard is moot, however, if you are already carrying a World Elite card (discussed above), as any purchase made with a World Elite card will earn the same or more rewards than the MBNA Smart Cash. The MBNA card returns only 2% on gas and grocery purchases (up to $1500 / month) and 1% on everything else. Contrast that with the Momentum card that gives 4% on those same gas and grocery purchases (up to $25,000 / year) but comes with an annual fee of $99. Assuming the cards are used exclusively for gas and grocery purchases, you would need to spend only $4950 / year (or $412 / month) in these categories for the Momentum to pay for itself. The annual fee on this card is $99. The first year fee is waived, so there is no fee to start this and use it for 1 year. Also, the additional cardholder fee is $30. There is no sign-up bonus on this card at this time. This card comes with some travel and insurance benefits, these are in line with the insurance and benefits that are offered on most comparable cards, including other Visa Infinite level cards and those with annual fees in the $80 – $120 range. The Scotiabank Momentum Visa Inifinite page boasts a discount on Avis car rentals. I haven’t ever found that those discounts ever amount to more than what can easily be found with a quick google search. This benefit is offered, but I wouldn’t put much value on it. The Scotiabank Momentum Visa Infinite card is great for people who spend a lot at gas bars and grocery stores. It is comparable to the Scotiabank Gold American Express card, with some aspects that are better and some that are worse. For people whose grocery store does not accept American Express cards, the Momentum is the way to go. I also got extra $55 cash rebate from applying through Great Canadian rebate. Good point. As I have mentioned in other posts, you can get some money from someone like GreatCanadianRebates for applying through their link. They amounts that they pay change from time to time, as do the cards that they pay out for. Definitely something to keep in mind. No Frills only accepts Mastercard. Don't subscribe All Replies to my comments Notify me of followup comments via e-mail. You can also <a href='https://www.creditwalk.ca/comment-subscriptions/?srp=3154&srk=2648578ecea05c83754707575dc5a494&sra=s&srsrc=f'>subscribe</a> without commenting.